Washington, DC, August 21, 2018 — The NLN Awards, named for three luminaries in nursing education, are to be presented at the NLN's 2018 Education Summit in Chicago. Selected by the NLN Awards Committee, the awardees will be recognized during a special Honors Convocation on Friday, September 14, 2018. The NLN Awards acknowledge individuals and organizations of prominence within nursing education and the wider stage of American health care. Dr. Soltis-Jarrett is the Carol Morde Ross Distinguished Professor of Psychiatric-Mental Health Nursing at The UNC-Chapel Hill School of Nursing in Chapel Hill, North Carolina. She has demonstrated leadership in nursing education, clinical practice and scholarship for over 30 years and has developed a robust and sustainable program of nursing scholarship that focuses on advancing the role of Psychiatric-Mental Health Nurse Practitioners (PMHNP). She has been awarded over $7 million in federal, state and regional funding to increase access to quality mental health services by recruiting, educating and placing PMHNPs in underserved, rural, and remote regions in North Carolina where there are gaps in specialty psychiatric services. Congratulations to Joyce J. Fitzpatrick, PhD, RN, FAAN, for receiving The Jessie M. Scott Award, which recognizes a nurse who demonstrates the interdependent relationships among nursing education, practice, and research. This prestigious award from the American Nurses Association is given annually. Dr. Fitzpatrick is the Editor for Archives of Psychiatric Nursing, official journal of ISPN. DHHS CMS Medicare Evidence Development and Coverage Advisory Committee (MEDCAC) for a 2-year term beginning June 1, 2018. The MEDCAC advises the Centers for Medicare & Medicaid Services (CMS) on whether specific medical items and services are reasonable and necessary under Medicare law. They perform this task via a careful review and discussion of specific clinical and scientific issues in an open and public forum. I love the season of summer. It is sunny, there are fresh fruits to eat, and the days are longer. This summer, I have the good fortune of health and energy, and have been exercising regularly. I do well with structure, and have been going to the office most days, even though I am not teaching. I am excited to be planning the use of simulations in an undergraduate psychiatric nursing course this fall. I have partnered with the UMSL Department of Psychological Sciences to provide our undergraduate nursing students with low fidelity simulation experiences with foci on attentive listening, therapeutic interviews, working with individuals with Bipolar Mania, and conducting suicide risk assessments. I had taught communication skills to undergraduate students at my former University, but by enlisting another department’s students to serve as standardized patients, I think we’ll witness some amazing learning. I will submit my entire course to IRB for a program evaluation, so that artifacts from the course can be studied. I am fortunate to have reviewed some current literature on best practices for using standardized patient scenarios. See articles worth reading at the end of this page. I have submitted abstracts to present my work at two conferences this fall. I am also working on two article revisions to submit for publication. I am thrilled to be able to work with my first 4 doctoral candidates this summer. This is the beginning of their dissertation process, and is quite exciting for me as a qualitative methodologist. I enjoy the scholarship and intellectual exchange that happens in meetings and reviewing student work. I thoroughly enjoy my work as a consultant with two foster care consortiums in town. I offer medication management training for foster parents at one consortium. At the other, I provide information, support, and guidance to a medical coordinator, and attend staffings for youth who reside in residential care. I am very happy to be working with a great group of women to prepare for next year’s conference. We’ve developed the objectives and found a keynote speaker. We have a wonderful enthusiasm and passion for our work as psychiatric nurses and are dedicated to the ISPN organization. Together, we’re making tremendous progress on our goals. Kirson, N. Y., Weiden, P. J., Yermakov, S., Huang, W., Samuelson, T., Offord, S. J., ... & Wong, B. J. (2013). Efficacy and effectiveness of depot versus oral antipsychotics in schizophrenia: synthesizing results across different research designs. The Journal of clinical psychiatry, 74(6), 568-575. Dr. Evelyn Parrish was elected to the Nominating Committee of the the Commission on Collegiate Nursing Education (CCNE). This agency is responsible for accrediting many schools of nursing. Sara Horton-Deutsch, with co-author Jan Anderson, have written a new book, Caritas Coaching: A Journey Toward Transpersonal Caring for Informed Moral Action in Healthcare. The book, available from Sigma, represents the Caritas Coach Education Program which is based on the moral, ethical, philosophical, and practice principles of Caring Science. Dr. Theodora Sirota has accepted a position as Associate Dean in the School of Health and Natural Sciences and Chair of the Nursing Department, University of Saint Joseph, West Hartford, CT.
ISPN congratulates Joyce J. Fitzpatrick, PhD, MBA, RN, FAAN , on being named a Living Legend by the American Academy of Nursing. Dr. Fitzpatrick is the editor of ISPN's journal Archives of Psychiatric Nursing. Dr. Jill Bormann , ISPN member and currently the Associate Chief Nurse for Research at the VA in La Jolla, CA has spent decades researching the impact on Mantram (a technique or mindfulness) on PTSD, Healthcare staff, wellness etc. Oprah picked her research and profiled it in the August edition of "O" magazine. Dr. Bormann presented her work at ISPN's 2015 conference. Kudos to Dr. Bormann for recognition of her research and success! Evelyn Parrish PhD, APRN-BC, ISPN Past President (2013-2014) was named Editor in Chief of the journal, Perspectives in Psychiatric Care. Ukamaka Oruche MSN, RN, CNS, PhD was appointed to the Indiana State Mental and Behavioral Health Workforce Task Force. The group will make recommendations to the Governors Health Workforce Council. Barbara Frechette DNP, PMHNP, FCN presented her paper, Hurtology: An Online Course at the 3rd Pediatric Nursing Association of Europe (PNAE) Congress in Porto, Portugal May 2016. Edilma Yearwood PhD, PMHCNS-BC, FAAN and Sally Raphel MS, APRN/PMH,FAAN presented their paper, Leading Nursing Educational Progress in Child Mental Health, at the 3rd PNAE Congress on Pediatric Nursing in Porto, Portugal May 2016. 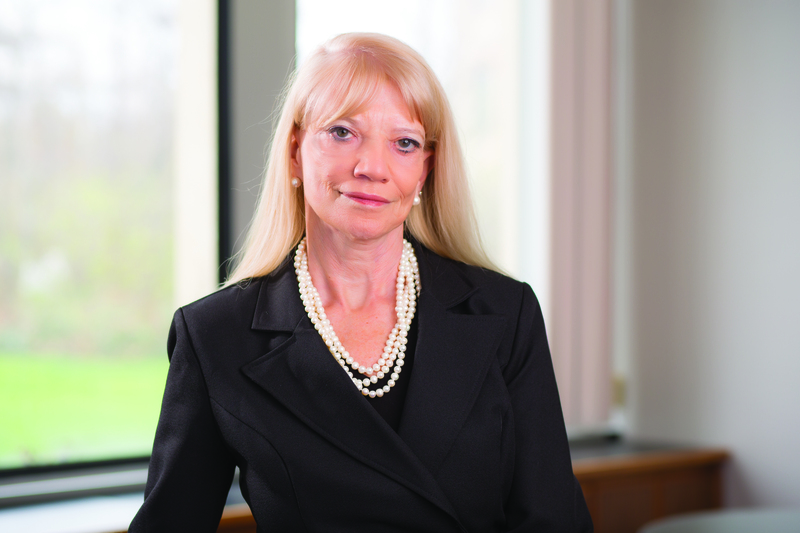 Geraldine S. Pearson PMH-CNS, PHD, FAAN, ISPN Past President (2006-2009), was appointed Editor in Chief of the Journal of the American Psychiatric Nurses Association. Cheryl Woods Giscombe PhD, PMHNP-BC was named a Macy Faculty Scholar from The Josiah Macy Jr. Foundation and is the director of the Interprofessional Institute for Mental Health Equity, the project she developed as a Macy Scholar. In addition, Dr. Woods Giscombe was a Scholar in the Robert Wood Johnson Foundation Nurse Faculty Scholars Program. Nancy Fowler, PMHNP, practicing at the Isaac Ray Center, Inc. in Chicago, IL was promoted to Psychiatric Services Administrator at the Center. Mary Weber PhD, PMHNP-BC, FAANP will be inducted as a new Fellow of the American Academy of Nursing in October, 2016. Marian Newton PhD, RN, CS, PMHNP, ANEF was inducted into the National League for Nursing Academy of Nursing Education. Additionally, Dr. Newton was selected as one of the 60 Gator Nurse Greats in honor of the University of Florida College of Nursing's 60th anniversary, recognizing 60 outstanding alumni who exemplify the ideals of the College's tri-partite motto "Care, Lead, Inspire." Pamela Galehouse PhD, RN, PMHCNS-BC presented her paper, Supporting the Behavioral Health of Children: Temperament Based Interventions to Support Development and Reduce Risk, at the 3rd PNAE Congress on Pediatric Nursing in Porto, Portugal May 2016.